GREENWICH, Connecticut (WABC) -- An off-duty police officer and several civilians are being praised as heroes after they helped save the lives of two children in Connecticut Friday afternoon. 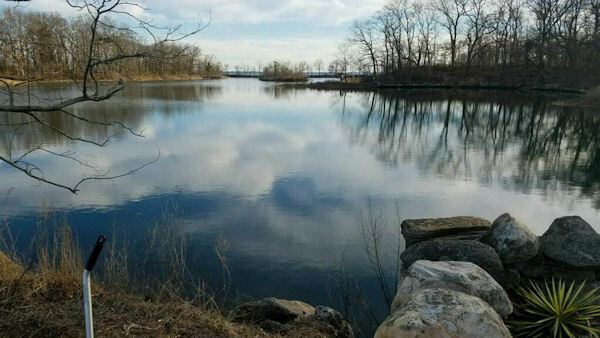 Authorities say Officer Thomas Heustis dove into the water at Greenwich Point Park to rescue two infants after their stroller tipped and slid down an embankment toward Eagle Pond. The stroller, holding a 13-month-old child and a 6-week-old infant, had been placed on uneven ground before sliding approximately seven feet down an embankment, striking a large rock and dislodging the two baby carriers. The two children went in opposite directions and into the water. Heustis immediately dove into the water and rescued the children, while their mother scrambled down the embankment. Three other civilian bystanders also joined Heustis in assisting the mother and her children. As a precautionary measure, the mother and children were transported to the Stamford Hospital, where they were examined and released. The parents wish to remain anonymous but thanked everyone for helping, describing Heustis' actions as "tremendous."